Founder and Pharmacist, Ramon Moreno, has an extensive background and is past president of the International Academy of Compounding Pharmacists. He came from a family of pharmacists with his brothers and mother being practicing pharmacists. Strong family values combined with expertise have made Universal Arts a company to trust. Create medicine that provide healing and comfort to all patients. Strive to be innovative in all aspects of compounding. Achieving accreditation is a process where healthcare organizations demonstrate compliance with national standards. PCAB accreditation reflects an organization’s dedication and commitment to meeting standards that facilitate a higher level of performance and patient care. In 2009, we initiated our process of standardization of procedures and went on to apply for the PCAB accreditation. We became the first accredited pharmacy in Florida in 2010. 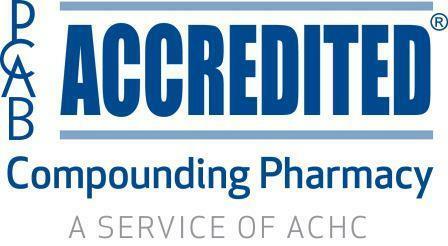 Our seal of accreditation has proven to be our pharmacy’s leading strength. The accreditation has allowed us to sustain the newer and fiercer USP standards with confidence. We can provide you with safer, higher quality compounds. Our patient’s health and wellness are in good hands. Just about any kind of medication can be customized and made to a doctor's order. Any strength and most ingredients can be made into capsules, suppositories, transdermal creams, lozenges, suspensions or solutions. Worried about allergens in your drugs? We can make them gluten, casein, soy, peanut, lactose, coloring and sugar-free. Speak to our pharmacist today. Our traditional practice of compounding pharmacy ensures that we do not participate in any manufacturing-type processes. Our medications are custom-made for you and made to order for your individual needs. In defining our practices through standard operating procedures, state of the art equipment and staff training, we can provide you with the highest level of quality assurance for your compounded medications.